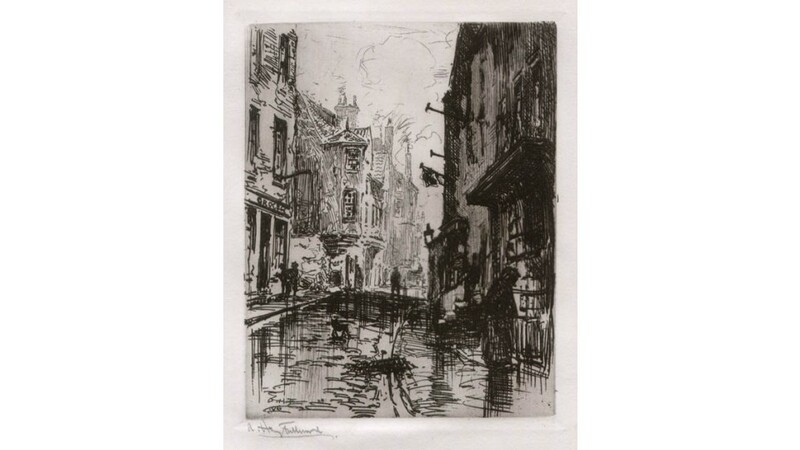 Australian early 20th century etching by AH Fullwood. 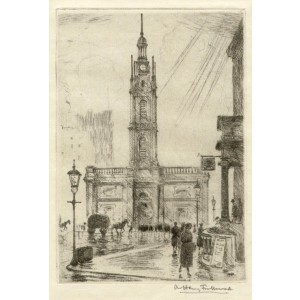 'Edinburgh - Cardinal Beaton's House' Signed in pencil by the artist below the image. 'Limited to 50 signed Artist's Proofs. Plate Destroyed.' 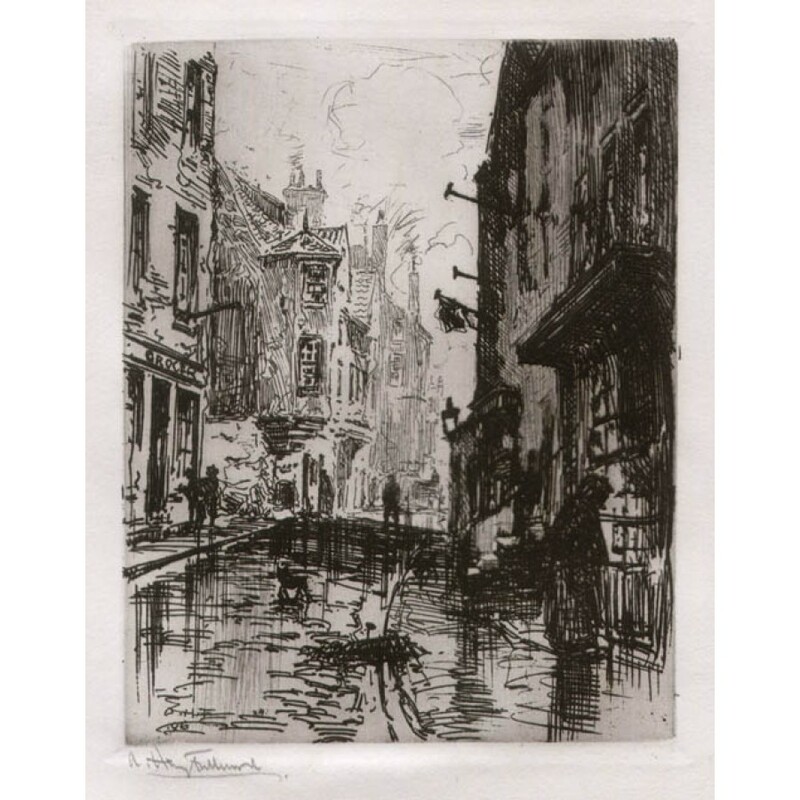 Fullwood was born near Birmingham in 1863, and studied art at evening classes in that city. He came to Sydney in 1881 and obtained work as a lithographic draughtsman and designer. He joined the Art Society of New South Wales in 1884, and shortly afterwards obtained a position on the staff of the Picturesque Atlas of Australia. He afterwards worked on the Sydney Mail and other illustrated papers of the time. In 1895 he took a leading part in forming the Society of Artists at Sydney and was a member of its first council. He returned to Europe in 1900 by way of America, holding on the way a very successful exhibition of his work at New York. He made London his headquarters, exhibited at the Royal Academy in 1901, 1904, and later years, and also at various exhibitions in Europe. During the war he was a sergeant in the R.A.M.C. and later an Australian official war artist. 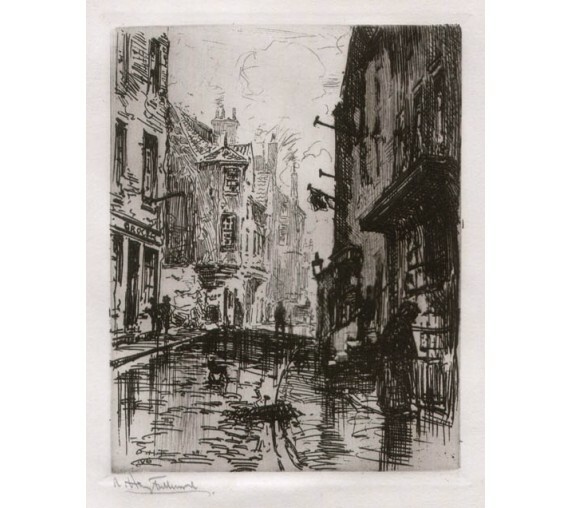 He returned to Sydney in 1920 and worked chiefly in water-colour and etching. He is represented in the national galleries at Sydney, Melbourne and Adelaide, at Dresden and Budapest, and in the war museum at Canberra. Accompanied by original label. Faint acid stain from previous mount in margin.